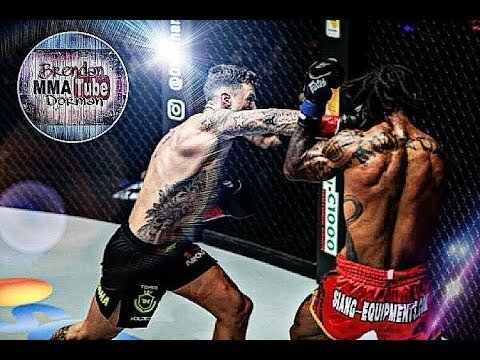 After seeing a string of “Muay Thai vs. the World” videos, or whatever click-bait-ish title (the edit king uses), I decided to jump in on the action, and give my take from an MMA Striking perspective. While the answer is likely Wrestling or a form of grappling from the right coach (Khabib’s Sambo or the dozens of Renzo / Danaher disciples e.g. GSP), that doesn’t mean that it would be enough to compete at the highest level of MMA in today’s landscape. Striking is getting better in MMA, and especially at the higher levels of the UFC. While some use a boxing coach, others a Muay Thai coach, and some of the very best tend to learn from MMA striking coaches, in my predisposed definition. For the record, striking coaches like Duke Roufus, Duane Ludwig, Ajarn Phil Nurse, Henri Hooft, and other upper echelon fellas may use Muay Thai as a term for what they’re teaching, though most of us know that it is an MMA based system, often influenced by what most would refer to as Dutch Kickboxing or K1 – Glory rules type kickboxing. My aim here is to show the efficacy of striking styles, agenda free as Cosmo (has defeated high-level fighters from Nampon PKMuaythai to John Wayne Parr) was my former Muay Thai coach and Nieky (lost to Buakaw, though if you know the shade…) has become a friend over the years. Smarks don’t need an explanation really. For the novice and intermediate, it is important to see why things translate, as well as the importance of hands. A former BJJ coach Gabriel ‘Gladiator’ Santos told me that his issue with a lot of “Muay Thai” is the lack of hands, or as we may say ‘boxing’ as a generality. 10 years later, I’d like to repay.